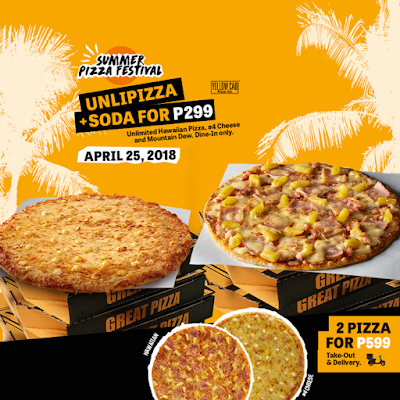 Yellow Cab's UNLI-PIZZA Promo is back! Hungry’s about to burn it up this summer with an all-day UNLIMITED Hawaiian Pizza, #4 Cheese Pizza, and Mountain Dew for only P299! 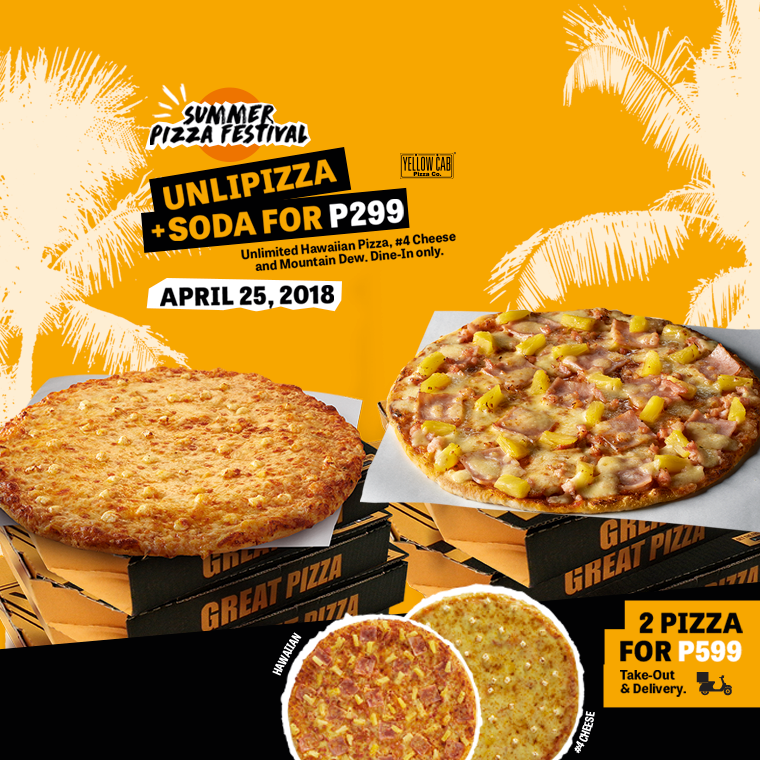 Check it out on April 25 and April 30, 2018 in all Yellow Cab Pizza stores nationwide! If you can't make it to their stores, you can still get 2 regular 10” pizzas (Hawaiian and #4 Cheese) for P599 via delivery or take-out. Valid for Dine-In transactions only on April 25, and April 30, 2018 only. 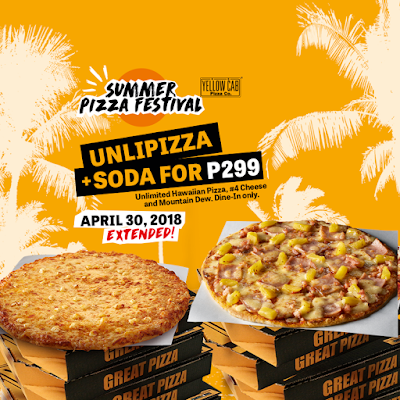 For Unlipizza + Soda, enjoy all-day unlimited Hawaiian Pizza, #4 Cheese, and Mountain Dew for P299. 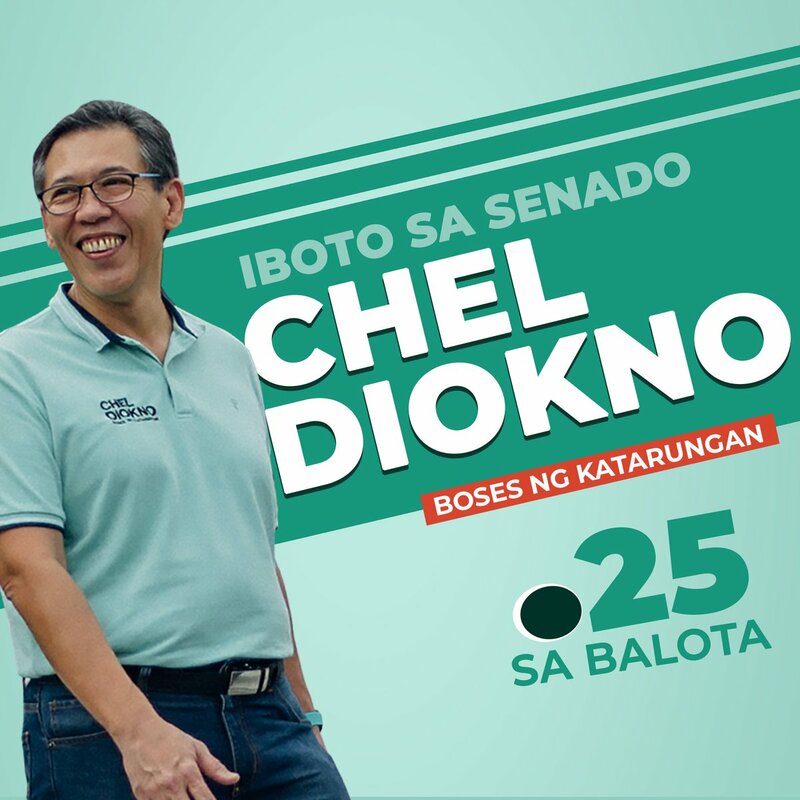 Valid in all stores nationwide except Subic, Camaya Coast, Valenzuela, SM City Marilao, Pulilan, SM City Cabanatuan, SM City San Jose Del Monte, Pandan, Shell Mexico, Kidzania, Starmall Daang Hari, Mall of Asia Arena, and Brent. Valid for Take-out and Delivery transactions only on April 25, 2018, and April 30, 2018. For 2 Pizza for P599, get 2 regular 10” pizzas (Hawaiian or #4 Cheese) for P599. 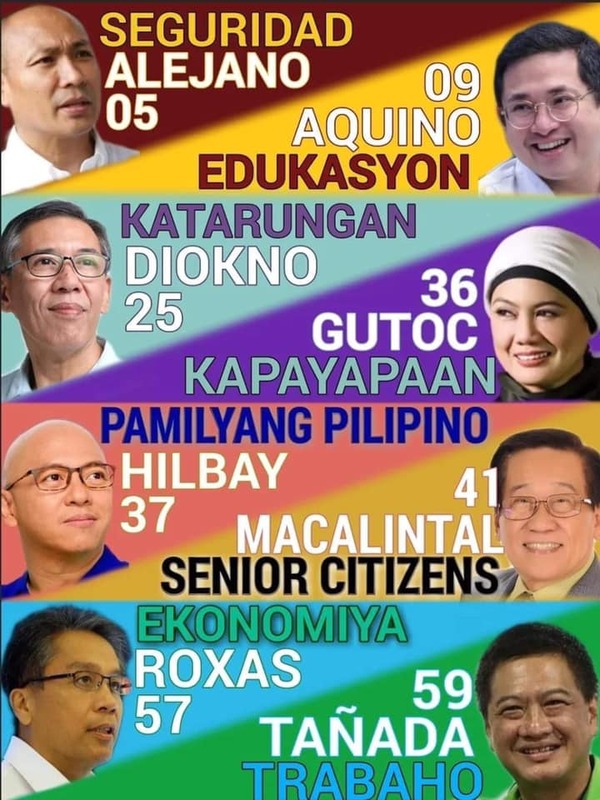 Valid in all stores nationwide except Subic, Camaya Coast, Valenzuela, SM City Marilao, Pulilan, SM City Cabanatuan, SM City San Jose Del Monte, Pandan, Shell Mexico, Kidzania, The District Imus, Mall of Asia Arena, and Brent. When you're ready for the next hustle, call ‎789-9999.